Mother's Day is all about spending time together with mom and making her feel special. 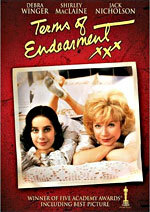 What better way than catching together some great movies that are aptly suited for Mother's Day? TheHolidaySpot draws up a list of some fantastic movies that focus on the mind of a mother and the mother-child relationship. Add to your celebrations with these beautiful Mother's Day movies. If you like our list of Mother's Day movies, click here to refer it to your friends and loved ones. Happy Mother's Day to you! Release Date: 25 December 1998. Cast: Julia Roberts, Susan Sarandon, Ed Harris, Jena Malone, Liam Aiken and others. This critically acclaimed hit stars Julia Roberts as Isabel, a successful photographer, who falls in love with Luke (Ed Harris), a doting dad to his kids Anna and Ben, and the former husband of Jackie (Susan Sarandon). When Jackie is diagnosed with cancer, she understands that she must accept Isabel as the new mother for her children. But can the full-time mother in her overlook Isabel's commitment to her profession and entrust her with the responsibility of Anna and Ben? A poignant story that brilliantly depicts the difference of attitude between two mothers. Release Date: 9 December 1983. Cast: Shirley MacLaine, Debra Winger, Jack Nicholson, Danny DeVito, Jeff Daniels and others. The film traces several years in the life of Aurora (Shirley MacLaine) and her daughter Emma (Debra Winger) as they find different reasons to go on living and find joy. This beautiful story of relationships takes a dramatic turn when Emma is found to be terminally ill. Brilliant performances from Shirley MacLaine, Debra Winger and Jack Nicholson. Release Date: 25 December 1996. Cast: Albert Brooks, Debbie Reynolds, Paul Collins, Laura Weekes, John C. McGinley and others. John Henderson (Albert Brooks) is a science fiction writer who, after two failed marriages, begins to have serious doubts on his ability to form relationships with women. He decides that coming to terms with his mom will improve his chances for a successful relationship and moves in with his mom Beatrice (Debbie Reynolds). But does that help John?. Find out more in this beautiful film. Release Date: 7 October 1987. Cast: Diane Keaton, Sam Shepard, Harold Ramis, Kristina Kennedy, Michelle Kennedy and others. 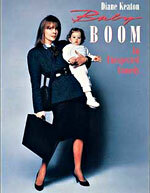 When a successful New York business woman J.C. Wiatt (Diane Keaton), known famously as the "tiger lady", inherits a baby girl from a distant relative liitle does she realize what lies in store for her. First her boyfriend, then her job and finally the life of New York - the annoying baby takes away from J.C. everything that she has. But when the baby likes some of the sauce that J.C. makes for her, she decides to sell it and soon hits it big. Love enters her life in the form of a local veterinarian. Watch this funny comedy to have a ball on Mother's Day. Release Date: 24 April 1968. Cast: Lucille Ball, Henry Fonda, Van Johnson, Louise Troy, Sidney Miller and others. When widowed nurse Helen (Henry Fonda) with 10 children marries Naval Officer Frank Beardsley (Lucille Ball) with eight kids, it immediately sets off a rivalry between their children with only Philip, Helen's adolescent son, becoming friends with Mike, Frank's oldest son. But when Mike takes a decision about his future, can the children overcome their differences to come together as one big happy family? Release Date: 8 March 1985. 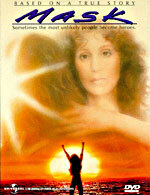 Cast: Cher, Sam Elliott, Eric Stoltz, Estelle Getty and others. Biker gang mom Rusty Dennis (Cher) is the mother of Rocky (Eric Stoltz), an extremely intelligent and emotional boy with a massive facial skull deformity who struggles to live a normal life. Despite her wild lifestyle, Rusty is a tender mother who wants her son to be given the same chances and happiness that everyone else takes for granted. 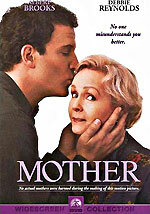 Watch this wonderful movie to have a warm Mother's Day celebration.